Baton Rouge has a number of great retirement homes to choose from, as listed below. Whether you are looking for an apartment setting, active 55+ community, cottage setting, or even US Veteran housing, this thriving Cajun city has it all! Each independent living community offers different services, so it is important to choose a community that is conducive to your lifestyle. A great way to start the research process is to schedule tours at the facilities you are interested in.  For more help finding senior housing please contact Senior Directory at 1-800-955-8510. Louisiana owned and operated by professionals specializing in senior living, Williamsburg Senior Living Community was founded on a commitment to providing a positive experience with life enhancements to our senior residents. Whether your lifestyle is active and independent or requires the assistance of caring and trained staff, Williamsburg will exceed your expectations as a senior community. Southside Gardens offers seniors a beautiful appointed garden home style apartments that include two home style cooked meals per day, (3rd meal optional) activities, linen and laundry service, group transportation to social events and more. For our residents who require assistance with daily living tasks, we offer apartments with 24/7 days a week care, caring nursing staff on call 24/7 and the peace of mind that your loved ones needs are met. Family owned and operated, Garden View Assisted Living strives to provide residents a gracious and friendly, secure residential community, our pledge to personal service providing each member and their family with the peace of mind they desire. We have communities in Baton Rouge, Lafayette, and New Iberia. Once you choose to call Azalea Estates your home, we will take the very best care of you. Our studio and one-bedroom suites provide comfortable, attractive space for your cherished belongings; all with a private bath, kitchen/kitchenette, thermostat and ample closet space. Lake Sherwood Village, the premier lakefront independent living community was designed especially for senior adult living and offers luxurious living to retirees over the age of 55. St. James Place’s complete Continuum of Care offers Independent Living, Assisted Living, Nursing Care, and two distinct levels of Memory Care to complement the needs of each resident. Since 1989, Whealdon Estates has provided the Baton Rouge area with outstanding and affordable independent senior living. Discover our all-inclusive lifestyle by touring today. Welcome to Holiday. Welcome home.